Learning with/from Matt Desmond. Ethnography seminar. November 2, 2017. Gender of Ethnography Conference. April 3, 2017. The Urban Ethnography Lab was founded at the University of Texas at Austin in 2012, under the direction of Professor Javier Auyero, with the purpose of bolstering qualitative and ethnographic research. 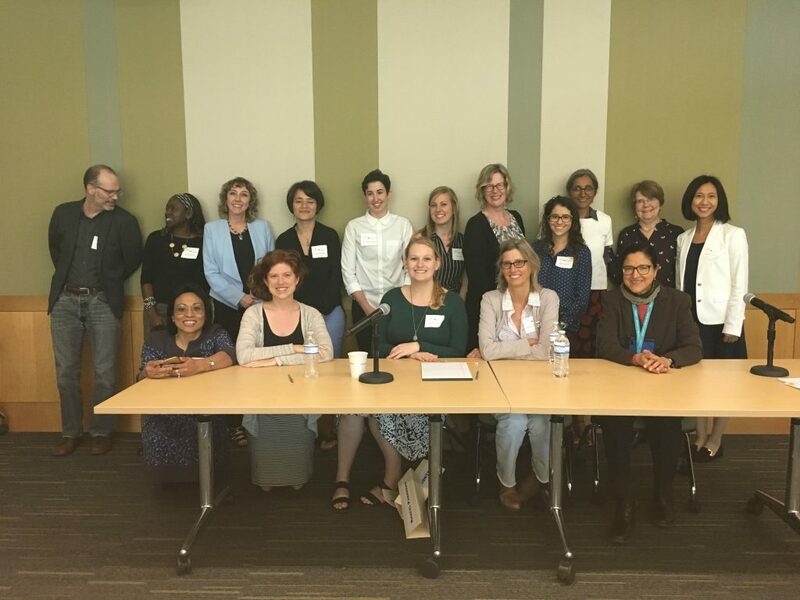 Housed in the UT Sociology department, the lab is a collaborative academic space that works to foster engagement with and training in the ethnographic method. 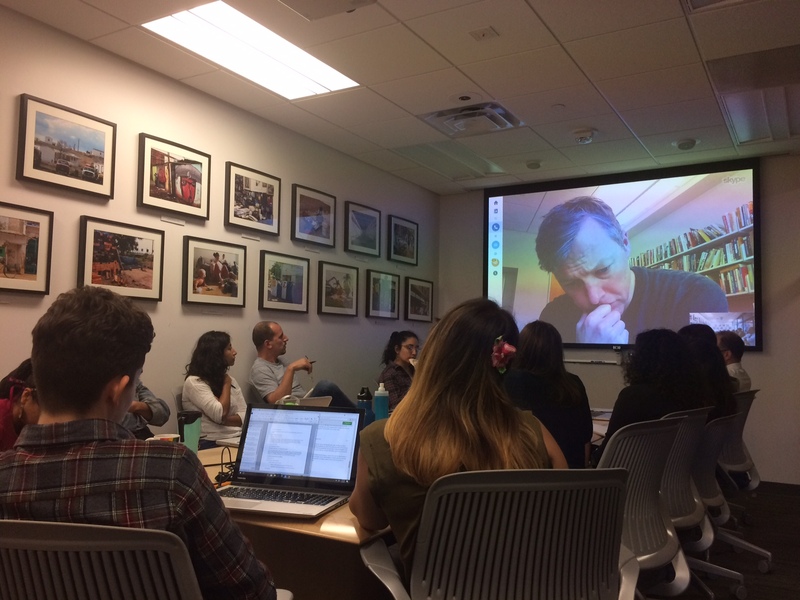 To further these objectives, the Ethnography Lab organizes a variety of events, including: conferences and symposiums; qualitative analysis software workshops; a brown bag series for associated graduate students and faculty to workshop manuscripts and proposals; and talks by invited speakers. Recent speakers include Alice Goffman, Loic Wacquant, Kimberly Kay Hoang and Shamus Khan. It also encourages graduate student enrollment in the Ethnographic Sequence, a two-course series on the ethnographic method, and annually awards fellowships to graduate students in the Sociology department to conduct summer fieldwork. Graduate fellows and affiliated professors carry out qualitative and ethnographic research around the globe. Members currently conduct research in Argentina, Brazil, Bolivia, England, Germany, India, Italy, Japan, Libya, Mexico, Nicaragua, Peru, Sweden, and the United States. Since opening its doors in 2012, the Urban Ethnography Lab’s graduate fellows have received outside funding from the National Science Foundation, Fulbright Program, National Academy of Education/Spencer Foundation, American Association of University Women, European Union, Mellon Foundation, National Association of Social Workers, Foundation for Urban and Regional Studies (Oxford University), American Sociological Association, International Sociological Association, Inter-American Foundation, PEO International, German Academic Exchange Service (DAAD), Hogg Foundation for Mental Health, and Work and Family Researchers Network. At UT, the research of graduate fellows has been funded by the Teresa Lozano Long Institute of Latin American Studies, Lyndon B. Johnson School of Public Affairs, Center for Women’s and Gender Studies, Rapaport Center for Human Rights and Justice, Center for European Studies, Center for Mexican American Studies, Swedish Excellence Endowment, College of Liberal Arts, South Asia Institute, and Department of Sociology. Graduate fellows have published in American Sociological Review; Theory & Society; Work & Occupations; Gender & Society; Ethnic and Racial Studies; Contexts; Social Science and Medicine; Latin American Research Review; Race, Ethnicity, and Education; International Journal of Urban and Regional Research; The Latin Americanist; Journal of Divorce and Remarriage; Habitat International; Sociology Compass; and Sociological Forum. For more information, please contact Javier Auyero, Director of the Ethnography Lab, or Graduate Student Coordinators Riad Azar and Jamie O’Quinn.